Online cleaning platform Mopp, recently featured in Startups’ Tech Pitch, has been acquired by its American counterpart Handy; formerly Handybook, in a deal said to be in the “millions”. Launched in 2012 by Pete Dowds and Tom Brooks (pictured), Tech City-based Mopp aims to “make it simple” for people to book a professional cleaner online. Users enter their postcode, choose a date and time, and the site then connects them with an experienced and insured cleaner for a rate of £10 an hour. Its purchase by Handy, a demand-driven home improvement and cleaning platform, has already seen Mopp’s branding changed to “Mopp powered by Handy” to enable users to access cleaners from both sites. Dowds and Brooks will remain with the company to run Mopp and Handy operations in London. 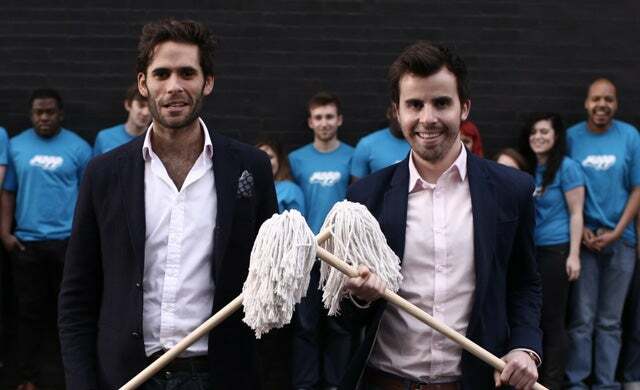 Speaking with Startups.co.uk in June, Mopp said that it was “changing the way the cleaning industry works” and, with regards to company growth, stated it had plans to “stimulate creativity and grow the [Mopp] team in a great environment”. Although the details of the deal are yet to be disclosed, it’s thought the acquisition is a move to help both businesses become international leaders in a market which has strong competition from the likes of Hassle and Housekeep.